If there’s one fact about modern life, it’s that most people are inundated with advertisements. However, despite all the new forms that advertisements take, one form of advertisement still reigns supreme in the minds of consumers. This is of course the television commercial. With about 14 minutes and 27 seconds of commercials per every television hour, there is a lot of opportunity to sell consumers on products and services. TV airtime is expensive. However, despite the huge investment many companies make to run commercials, some commercials fail on arrival. In fact, some actually drive consumers away from products and services. You need to be careful and avoid common commercial mistakes. Below are six you should be sure to avoid. 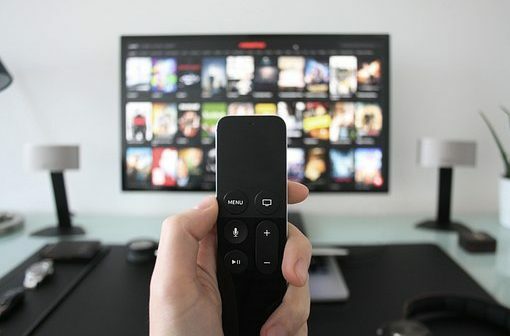 One of the biggest mistakes companies make when producing television commercials is creating an ad that actually undermines the product or company’s branding strategies. You have to be rather careful about the messages you send out in your commercials. If you aren’t, you could undermine your entire business by altering consumer perceptions in a negative way. One of the most famous examples was KFC’s ad campaign for Kentucky Grilled Chicken. The commercials and other ads focused on the idea that KFC, whose main product is of course fried chicken, was suddenly making a move towards health food. The campaign was so disastrous in undermining KFC’s own brand that sales dropped 6 percent in a year. A commercial may have a huge budget, great music and high production values. However, it can still fail if it does not actually inspire customers to do anything. Instead, commercials must always have goals. This goal should be as specific as possible. This can be a hard sell for a specific product. It can be the advertisement of a sale. It can be an advertisement for a new app that you can use with your product. Overall, you need to know what exact action you want the customer to perform. The success of your commercial should be directly tied to how many people follow through and perform that action after viewing your ad. The average television commercial is 30 seconds in length. Unless you are choosing a longer format like an infomercial, you should try to trim your commercials down to this length. The reason to do so is obvious. The average television watcher has a short attention span when it comes to commercials. You need to be punchy, to the point and memorable. If your commercial appears to drag on before getting to the sell, you have a problem. The viewer may change the channel or simply drown your ad out from their attention. You may have a specific target market for your product. However, don’t make assumptions about what opinions or beliefs your target market actually has. For one, you may assume that your target demo has certain political beliefs. You should be aware, though, that trying to pander to these supposed beliefs can back fire big time. Many companies that are perceived as having gone political tend to provoke large backlashes. You may lose a large percentage of your customer base and end up on the receiving end of a boycott. Overall, try to appeal to the sensibilities of your customers while being politically neutral with your commercial’s messages. This way, you are more likely to avoid costly unintended consequences. Commercials need to make a strong impact. They need to make that impact in about 30 seconds. The most successful commercials do this by entertaining the audience while also telling them why they should purchase a product or service. Other commercials, on the other hand, are so dry and lifeless they are akin to 30 second clips of paint drying. While you may fear that you’ll go to over the top and create a corny commercial, at least attempt to provide some form of entertainment for the audience you expect to watch your ad. Lastly, you need to be very careful about when you schedule your ad. You need to choose channels, time slots and shows that your target customers actually watch. Perform the proper research beforehand. If you don’t, you may end up losing your investment on that piece of advertising.